John H. KUYKENDALL [Parents] was born in Jan 1853 in , Pickens, Georgia. He died on 13 Oct 1899 in Dawson, De Kalb, Alabama. John married Kizira Jane HOPKINS on 5 Apr 1870 in , McMinn, Tennessee. Kizira Jane HOPKINS [Parents] was born on 3 Dec 1847 in , Lumpkin, Georgia. She died on 23 Nov 1889 in Tuscaloosa, Tuscaloosa, Alabama. Kizira married John H. KUYKENDALL on 5 Apr 1870 in , McMinn, Tennessee. M ii William T. KUYKENDALL was born on 7 Sep 1873. He died in 1914/1919. M iii David Wilson KUYKENDALL was born on 3 Aug 1875. He died on 12 Jan 1940. M iv Joseph Wesley KUYKENDALL was born on 26 Sep 1878. He died on 7 Feb 1935. M v Walter Andrew KUYKENDALL was born on 26 May 1881. He died on 6 May 1955. Lytle KUYKENDALL was born in 1883 in Fort Payne, De Kalb, Alabama. She died as a child in Fort Payne, De Kalb, Alabama. M vii George Washington KUYKENDALL was born on 15 Oct 1885. He died on 17 Aug 1928. M i Andrew Carter TRAFFENSTEDT was born on 12 Aug 1854. He died on 16 Nov 1917. F i Kizira Jane HOPKINS was born on 3 Dec 1847. She died on 23 Nov 1889. John William TRAFFENSTEDT [Parents] was born in 11 Aor 1886 in Collinsville, De Kalb, Alabama. He died on 26 Sep 1952 in Houston, Perry, Arkandsas. He was buried in May Cemetery, Houston, Perry, Arkansas. John married Luthema Thelma STRINGER on 5 Apr 1908 in Conway, Arkansas. Luthema Thelma STRINGER was born on 11 Oct 1889 in Clinton, Van Buren, Arkansas. She died on 10 Apr 1962 in Danville, Yell, Arkansas. She was buried in May Cemetery, Houston, Perry, Arkansas. Luthema married John William TRAFFENSTEDT on 5 Apr 1908 in Conway, Arkansas. F i Zeailer TRAFFENSTEDT was born on 22 Oct 1912. She died on 14 Dec 1996. M ii John Leonard TRAFFENSTEDT "Sr" was born on 24 May 1919. He died on 8 Jul 2001. John Leonard TRAFFENSTEDT "Sr" [Parents] was born on 24 May 1919 in Plumerville, Conway, Arkansas. He died on 8 Jul 2001 in Houston, Perry, Arkandsas. He was buried in May Cemetery, Houston, Perry, Arkansas. John married Ellwese Connie Louise WILLIAMS. Ellwese Connie Louise WILLIAMS was born on 12 Aug 1916 in Martinville, Faulkner, Arkansas. She died on 1 Nov 1991 in Conway, Arkansas. Ellwese married John Leonard TRAFFENSTEDT "Sr". F iv Linda J. TRAFFENSTEDT. BURNETT. BURNETT married Linda J. TRAFFENSTEDT. Linda J. TRAFFENSTEDT [Parents]. Linda married BURNETT. Rev. Barak "Pap" CHAMBERS [Parents] was born on 14 Nov 1835 in , Pickens, South Carolina. He died on 1 Nov 1929 in Fairview, Cullman, Alabama. Barak married Mary BARTLET on 17 Sep 1885 in , Marshall, Alabama. Mary BARTLET [Parents] was born on 20 Oct 1847 in , , Georgia. She died on 19 Apr 1928 in Holy Pond, Fairview, Cullman, Alabama. Mary married Rev. 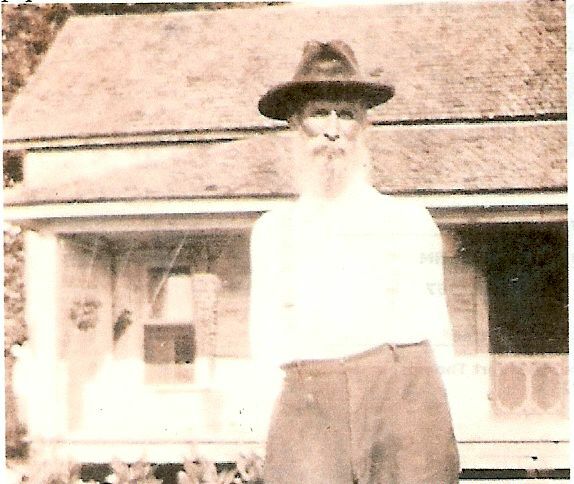 Barak "Pap" CHAMBERS on 17 Sep 1885 in , Marshall, Alabama. Joseph Wesley KUYKENDALL [Parents] was born on 26 Sep 1878 in , Marshall, Alabama. He died on 7 Feb 1935 in England, Lonoke, Arkansas. Joseph married Minnie Ardella CHARLES in 1905 in , Faulkner, Arkansas. Minnie Ardella CHARLES was born on 31 Dec 1880 in , , Arkansas. She died on 14 Jan 1947 in , Faulkner, Arkansas. Minnie married Joseph Wesley KUYKENDALL in 1905 in , Faulkner, Arkansas. John Elmer KUYKENDALL was born in 1906 in , Faulkner, Arkansas. He died on 8 Oct 1966 in Crossett, Ashjley, Arkansas. James D. KUYKENDALL was born in 1907 in , Faulkner, Arkansas. He died in 1920 in , , Alabama. M iii William Taft "Willie" KUYKENDALL was born on 10 Nov 1908. He died on 15 Jan 1993. Albert KUYKENDALL was born about 1910 in , Faulkner, Arkansas. He died before 1920 in , Pope, Arkansas. Jinnie Lytle KUYKENDALL was born on 18 Feb 1911 in , Faulkner, Arkansas. She died on 29 May 1989 in England, Lonoke, Arkansas. Lydle KUYKENDALL was born in 1912. David Earl KUYKENDALL was born on 2 Feb 1913 in , Faulkner, Arkansas. He died on 22 May 1998 in England, Lonoke, Arkansas. Henry Bennett KUYKENDALL was born on 12 Feb 1915 in , Faulkner, Arkansas. He died on 17 Aug 2001 in Stuttgart, Arkansas, Arkansas. Peter KUYKENDALL "III" [Parents] was born about 1817 in Probably, , Illinois. He died before 1846. Peter married Reba. Reba. Reba married Peter KUYKENDALL "III". Pieta or Petta KUYKENDALL was born in 1851 in , , Georgia. Robert K. KUYKENDALL was born in 1859 in , , Georgia. Walter Andrew KUYKENDALL [Parents] was born on 26 May 1881 in Fort Payne, De Kalb, Alabama. He died on 6 May 1955 in Yuba City, Yuba, California. Walter married Queen Victoria WILLIAMS on 27 Dec 1901 in Martinville, Faulkner, Arkansas. Queen Victoria WILLIAMS was born on 28 Oct 1883 in Morrilton, Conway, Arkansas. She died on 1 Jun 1976 in Selma, Fresno, California. Queen married Walter Andrew KUYKENDALL on 27 Dec 1901 in Martinville, Faulkner, Arkansas. F i Mildred May KUYKENDALL was born on 19 Jun 1903. She died in 1929. M ii Charles Andrew KUYKENDALL was born on 28 Jun 1905. He died on 23 Sep 1974. F iii Mary Edna KUYKENDALL was born on 28 Apr 1907. She died on 5 Jun 1988. Virdie KUYKENDALL was born on 14 Dec 1908 in Aday, Perry, Arkansas. She died in 1911 in , Conway or Yell, Arkansas. Willie Ethel KUYKENDALL was born on 23 Jan 1910 in Centerville, Yell, Arkansas. She died on 31 Oct 2001 in Fresno, Fresno, California. Claudia Faye KUYKENDALL was born on 22 Oct 1914 in Morrilton, Conway, Arkansas. She died on 1 Oct 1916 in Wilborne, Conway, Arkanas. F vii Blanche Mildred KUYKENDALL was born on 9 Aug 1916. She died on 12 Jul 1938. F viii Wilma Jessie KUYKENDALL was born on 19 Aug 1918. She died on 14 Feb 2003. Joe Bill KUYKENDALL was born on 17 Nov 1920 in Lee, Pope, Arkansas. He died on 7 Jul 1926 in Gore, Sequoyah, Oklahoma.